A year or two ago, pundits and planners, in California and elsewhere, proclaimed – and largely celebrated – the demise of suburbia. They were particularly heartened by a report, financed by portions of the real estate industry, that predicted the market for single-family homes in the state was hopelessly flooded, with a supply overhang of up to 25 years. The "new California dream" would supplant the ranch house with a high-density apartment, built along a transit or bus line. So much for the grand theory. As the economy has begun to recover from its nadir, single-family home sales have taken off, both in California and across the country. 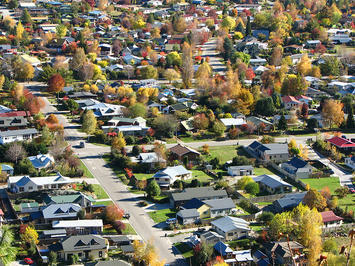 In 2012, prices rose by 6 percent nationwide, and pent-up demand has spurred interest among investors and buyers. In California, the new dream imagined by planners, pundits and their real estate backers is being supplanted by, well, a more traditional aspiration. In our state, hard hit by the most-recent housing bubble, single-family home prices surged 24 percent over the past year as inventories dropped precipitously. In some particularly desirable areas, such as Irvine, the supply constraints are at levels lower than experienced even in boom times. We are beginning to see a resurgence – which we were told never to expect – in new projects. The government reported recently that housing permits, still well below their peak, surged in February to their highest level since June 2008, an increase of nearly 34 percent from a year earlier. In Southern California, prospects for new single-family home construction are beginning to gear up. Toll Brothers, for example, recently bought into a new 2,000-home development in Lake Forest. Developers are turning over land across a vast portion of the state, particularly in places like Riverside-San Bernardino, which were at the epicenter of the housing bust but are now showing signs of recovery. The media's surprise at these developments reflects the disconnect between the perceptions of planners, academics and some developers and reality on the ground. In the past decade or two, a huge industry has arisen, proclaiming the end of the single-family home and heralding the rise of densely populated urban cores. Yet, an analysis of the 2010 Census shows that growth in the suburbs, as opposed to core cities, actually rose from 85 percent to 91 percent from the previous decade. So, too, did the proportion of detached single-family homes, which grabbed 80 percent of the market during 2000-10, leaving 20 percent for multifamily buildings and townhouses. And now, with the market recovering, single-family homes in 2012 accounted for nearly two of three homes sold. Overall, sales of single-family homes in the past year were roughly seven times those for co-ops and condos nationwide. What's behind this? It may have something to do with a little thing called consumer preference. Overall surveys tend to show that roughly 80 percent of adults prefer single-family houses, usually in either suburbs or exurbs. Of course, many insist that, in the aftermath of the 2007 housing bust, Americans now are finally unlearning their bad habits. In 2010, U.S. Housing and Urban Development Secretary Shaun Donovan, pointing to the flood of foreclosures in suburban reaches of Phoenix, claimed that the die, indeed, was already cast. "We've reached the limits of suburban development," Donovan claimed. "People are beginning to vote with their feet and come back to the central cities." Yet, although the Great Recession certainly slowed overall migration to suburbs, numbers for 2011, the most recent available, showed domestic migrants continued to head away from core counties and toward those in the suburbs and exurbs. Now that the economy is improving, this trend seems likely to continue, or even accelerate. Core cities may be reviving, but this is still a suburban nation; conservative estimates indicate than more than 70 percent of residents in major metropolitan areas live in suburbs. To be sure, areas within three miles of an urban core grew 4.7 percent in the past decade, or 206,000, a nice reversal from previous declines. Yet this represented less than one-half the metropolitan growth rate of 10.6 percent. Further, this growth was more than negated by a 272,000 loss of people living from two miles to five miles from the urban core. Contrast this with fringe growth. Over the past decade, for example, areas five to 10 miles further from the core expanded their populations by 1.1 million. Areas further out, 10 to 20 miles, added 6.5 million residents. Areas beyond 20 miles from the urban core saw the largest growth, 8.6 million – 40 times the growth in the urban core and nearly four times the percentage growth (18.0 percent). It does not appear that the Great Recession reversed these trends. An analysis of population growth in 2011-2012 by Jed Kolko, chief economist for the real estate website Trulia, found that the old patterns reinforced themselves, with strong, but numerically small, growth in the core, but the most robust expansion at the fringes. "The suburbanization of America," Kolko suggests, "marches on." In Southern California, this also is the pattern. From 2000-10, the Riverside-San Bernardino metropolitan area added twice as many people as did Los Angeles and three times that of San Diego. Overall growth in Los Angeles has been strongest toward its urban fringe. Although media coverage has focused on the growing residential population of Los Angeles' downtown, which expanded from 35,884 to 51,329 over the decade, this population is actually smaller than that of the San Fernando Valley neighborhood of Sherman Oaks. It is also more than 5,000 fewer people that in the Riverside County community of Eastvale, once primarily an area of dairy farms that incorporated only in 2010 and whose population has increased eight-fold since 2000. The geography of the post-crash economy, despite the strong losses in suburban industries like manufacturing and construction, also has remained much as it was before the recession, and may begin to assert itself more in the future. A new report from the urban-core-oriented Brookings Institution found that the percentage of jobs within three miles of the urban core dropped in all but nine of the nation's 100-largest metropolitan areas; only Washington, D.C., saw strong relative growth in its core. Overall, the periphery is now the dominant job center in metropolitan America, with more than 65 percent of all jobs in the largest metropolitan areas and with twice as many jobs 10 miles from the urban core as in the core itself. This undercuts the assertions by planners and retro-urbanists that we can cut commutes by coercing people to live closer to the core. The real trend is that many historically bedroom communities are nearing parity between jobs and resident employees. The jobs/housing balance, which measures the number of jobs per resident employee in a geographical area, has reached 0.89 (jobs per resident workers) in the suburbs of the country's 51 major metropolitan areas, according to American Community Survey 2011 data. This proportion is greater in Southern California, where numerous job centers compete with downtown Los Angeles, which holds barely 3 percent of the region's employment. Instead, many of the region's strongest job centers – Ontario, Burbank, West Los Angeles, Valencia – are themselves suburban in nature. Overall, the strongest office markets remain in places like around John Wayne Airport and West Los Angeles, which have recovered much more than downtown Los Angeles, despite that area's much ballyhooed "vibrancy." If the goal is to reduce both commute times and energy use, perhaps these dispersed centers may offer the best hope. In Irvine, for example, by 2000 there were three jobs for every resident; roughly two in five residents worked in the city. Commutes for Irvine residents are among the shortest in the Los Angeles basin, notes Ali Modarres, chairman of the Geography Department at Cal State Los Angeles. There's also a danger that policies seeking to restrict construction of single-family homes could further inflate housing prices and thus also create a potential oversupply of the multifamily product that the planners and many developers want to push. This is particularly true here in sunny Southern California, where the single-family house represents, in historian Sam Bass Warner's phrase, "the glory of Los Angeles and an expression of its design for living." Given these deep-seated preferences, perhaps it would make more sense if our planners, and some developers, would awake from their dogmatic slumbers. Their job should be to facilitate the quality of life that people seek, not to tell them how to live. That means admitting that the future of both America and, particularly, Southern California, is likely to remain largely suburban for years to come. Suburbs photo courtesy of BigStockPhoto.com. Submitted by johnz308 on Fri, 04/10/2015 - 09:53. Submitted by xygwfl1122 on Sat, 01/17/2015 - 08:51. Submitted by DiegoJ on Wed, 06/19/2013 - 15:48. The job market continues to stay stubbornly stagnant, even as a leading indicator hints at development in the housing market. According a new report, house prices rose in every main United States city in May. That is the fourth month in a row to show boosts. Get an personal finance for your house payment this month. Submitted by davebarnes on Mon, 05/13/2013 - 21:28. Do you want people (families) to live in THE CITY? Then make THE CITY's school system THE SUPERIOR one in the MSA. Submitted by tmaniaci on Mon, 05/13/2013 - 18:17.
if you give people free money as supplied by the Fed and a huge tax deduction what do you expect? Why not purchase assets for free. Of course until reality returns and the Fed can't print cheap money as interest rates climb. It is all a sham to create an economy based on air. Keep pumping the ballon. Submitted by PhilBest on Mon, 05/13/2013 - 15:16. The so called "trend in demand" away from remote suburbs at around 2008-2010, is a great example of misinterpretation of reality. The more expensive houses are relative to incomes, the more incentive there is for households, especially first home buyers, to locate further away from the city proper, because the savings on housing costs are greater than the additional cost of travel. This was quite clearly stated in "The Costs of Sprawl 2000" report, and Anthony Downs took several paragraphs calculating the underlying incentives, in his 2004 book, "Still Stuck in Traffic". So this is an ironic unintended consequence of urban planning that forces up the price of housing. This effect was found even in 1973, by Peter Hall et al in "The Containment of Urban England"; of course England had by that time been practising urban growth containment planning for more than two decades. Ironically, during the volatile property price cycles caused by growth containment urban planning, property prices crash, and this, along with interest rates lowered by central banks to “stimulate” economies, there is been a temporary increase in the number of areas where the exception to the rule identified by Downs et al applies, and SAVINGS CAN actually be made in “housing plus transport costs” by moving closer to a job that is closer to the urban center. This process is especially expedited by the existence of "non-recourse" mortgages, so that mortgaged households in "sand suburbs" can simply walk away from their homes and relocate into a newly-affordable one in a more efficient location. Advocates of urban growth containment of course completely misinterpret the underlying mechanisms that have led to this phenomenon. Policies that require economic disaster to make them work (and indeed are a significant factor in the mix that led to the economic disaster in the first place) should not be preferred options. And of course as the prices of houses "recover" - more correctly, bubble AGAIN - in these regions of idiocy, most people are once again "priced out" of the efficient locations. Ironically, businesses too are "priced out", hence the suburbanisation of employment becomes another reason for the long term relative success of the remotest suburbs in the markets distorted and de-stabilised by growth containment planning and land price inflation. Submitted by PhilBest on Mon, 05/13/2013 - 15:26. The central point is that even anti-suburb planning cannot kill the suburbs; it DOES kill the whole economy. Policies that inflate the price of fringe land, inflate the price of land everywhere in a city. Urban land rent curves always slope up from fringe to centre. Ironically, this means a CBD condo in Houston or Atlanta is a fraction of the price of one in LA or SF; in fact, even more relatively affordable than a fringe McMansion, because the cost of land "multiplies" from the fringe to the centre. Work it out on paper if you don't "get it", drawing a few graph lines for the cost of land, the cost of structures, and the combined cost; and see what happens when the cost of land is bumped up tenfold or more. Furthermore, the "transport cost" curve which slopes the other way, is capitalised into location advantage anyway. See what happens to "housing plus transport" costs at all locations when you push the price of land up. The affordability of all options is drastically reduced, and choice of location is lessened, with the more efficient locations being the first to become absolutely unaffordable. The affordable cities provide a choice of $140,000 fringe McMansion, $100,000 mature-suburb home, and $100,000 CBD Condo. The distorted market cities provide a "choice" of $450,000 fringe McMansion, $700,000 mature-suburb home, and $1,000,000 CBD Condo. Way to GO, "planners".....!!!!!! Submitted by lukelea on Mon, 05/13/2013 - 15:01.
though it may take new forms. For instance small town development in the far fringes of exurbia.